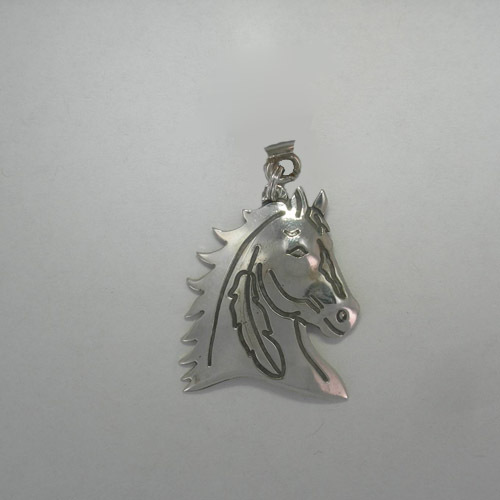 Desc: Sterling Silver Indian Horse Head pendant. The horse head has mane blowing in the wind. A feather is on the neck of the horse and the horse has a small blaze in the face. The pendant is made by Tommy Singer and has a bright polish finish. The pendant is signed by the artist. 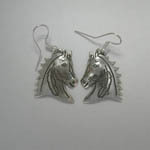 We have matching earrings, see SK975.